Greenhouse Interlighting. Full cycle spectrum optimized for rapid growth and complete plant growth as well as optimi- sed spectrums. 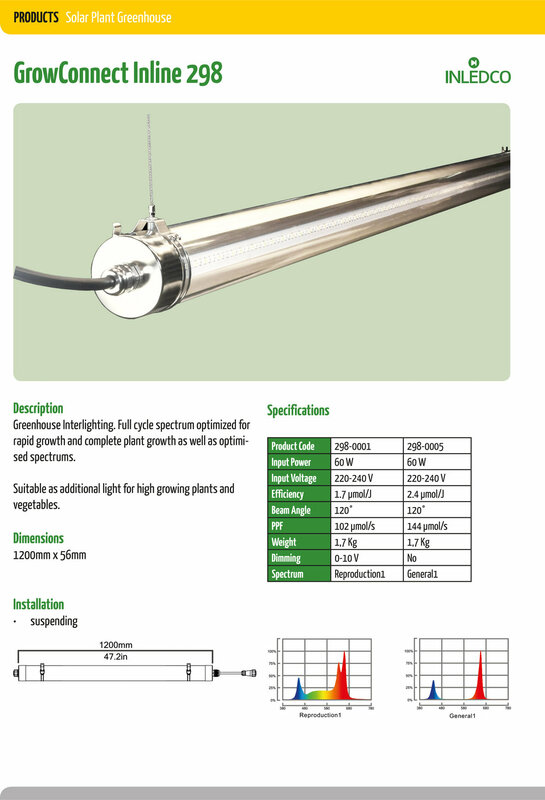 Suitable as additional light for high growing plants and vegetables.